Hang on to Your Stars Bracelet. 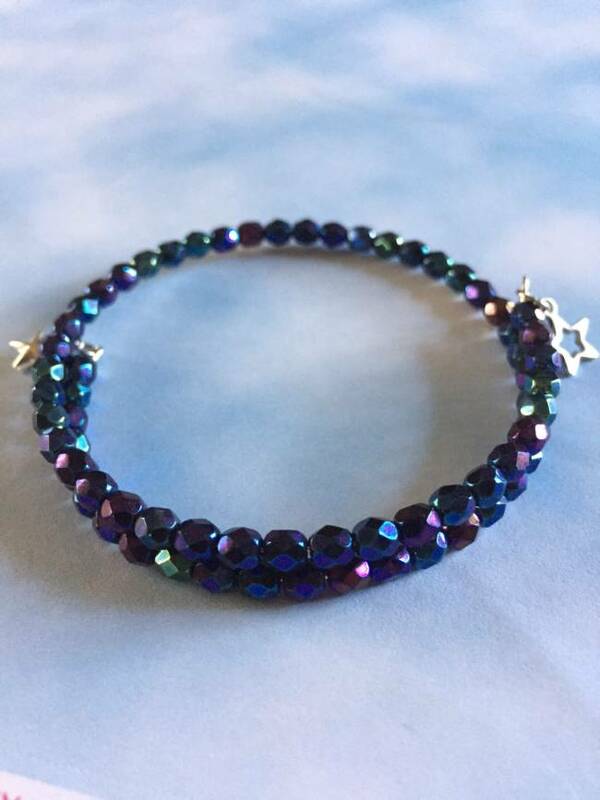 High quality handcrafted Deep Celestial Blue crystal bracelet adorned by adorable star charms. Flexible, memory wire holds it’s shape and is easy on and off. One size fits most. The perfect gift for the Shining-Star Employee: Show them how much you care and appreciate the work they do! The Brilliant-Star Manager: The tiny hanging stars will remind them to continue to appreciate and support their employees creating a fabulous community of high quality care. Free shipping. Typically ships within 1-2 weeks.